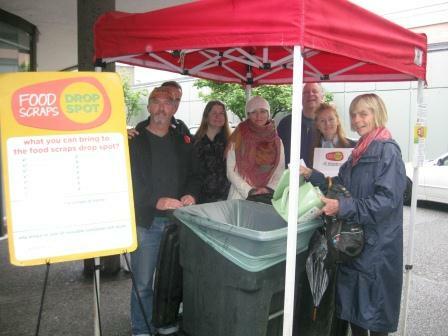 This is a notice to let everyone know that on Saturday, October 25, 2014, the Food Scraps Drop Spot resumes on Saturday mornings (10 am to noon) at the Gordon Neighbourhood House. As in the past few years, this shift was in hiatus over the summer of 2014, while the West End Farmers Market was in operation. The Market had its last day on October 18, so we are able to pick up operations without skipping a beat. Please write foodwestend@gmail.com to volunteer. Orientation November 1.